After initially offering the service to a limited number of users, Google is finally rolling out its Hangouts on Air feature to Google+ users around the world. We’ve seen some great uses of people being able to publicly broadcast their hangouts, from celebrity interviews to showcasing non-profit initiatives. The feature will be gradually rolling out to users worldwide over the next few weeks, and Google suggests some public hangouts that you can tune in to while you’re waiting to gain access yourself. These include shows with Conan O’Brien, Jamie Oliver, and a special event on May 10 for the Global Poverty Project. The possibilities of Hangouts on Air are near limitless – whether you want to hold a presentation, a virtual conference, panel or roundtable discussion, or even want to hold an online concert. Video bloggers and podcasters also have a new tool at their disposal for live blogging, interviews and more. 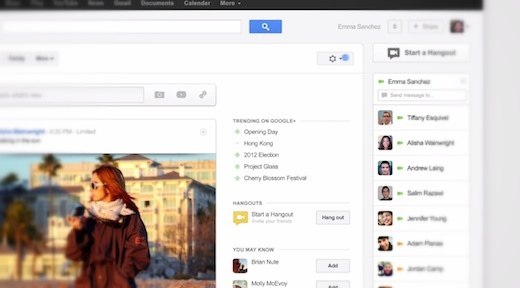 How are you going to use Hangouts on Air? Let us know in the comments.